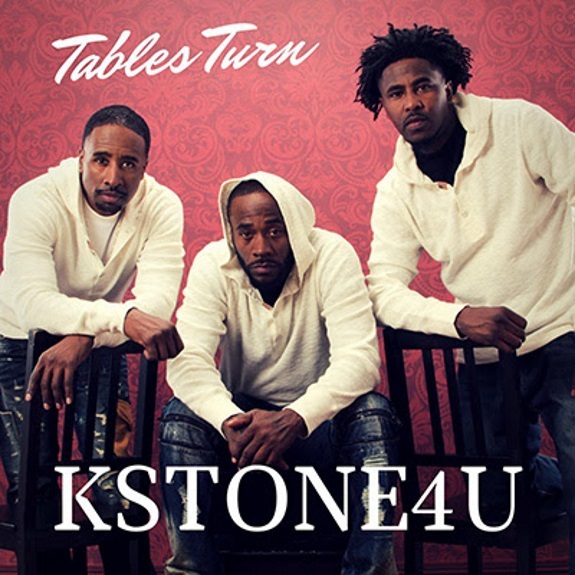 Baltimore, MD -- Global independent artist, KSTONE4U (K4U), is proud to announce the release of their first album, Tables Turn, now available on www.kstone4u.com and all major digital outlets. KSTONE4U has teamed up with Atlanta producers, George Short and Reese Johnson, to offer a distinct melody of R&B, Soul, Funk, and Love Ballads that bring back the old school rhythm of classic Motown street harmony. The album is also the first official project of Black-owned independent music label, Unome Music. "Our music expresses romantic emotions of love and loss in a way in which most of us experience through life, relationships and triumphs," says Paul "Pep" Houston, Founder, Manager, and Lead Vocalist. KSTONE4U (K4U) R&B, Soul, and Funk – the melody and harmonious sound of Baltimore, Maryland was founded in 2015 by Paul "Pep" Houston and his younger brother, Dana "Dee" Houston. The band is comprised of Paul "Pep" Houston, (Manager/Lead Vocals), Dana "Dee" Houston (Vocals), and Kenron "B-Man" Barnes (Vocals), Gary Massey (Bass), Jarod Barnes, Jr. (Drummer), Gordon Lewis (Guitar) and Justin Taylor (Keyboard). In 2016, K4U released their first single "Tic Toc" and has performed across the East Coast Regional area. If you would like more information about this artist, please contact Kisha Battle at 888-868-9052 or email at catchthefiremedia@gmail.com. Labels: The album is also the first official project of Black-owned independent music label, Unome Music.